CALGARY – Acrimony between Canada’s largest integrated oil company and Europe’s largest bank has escalated, with Suncor Energy Inc. saying it has “fully severed our relationship” with HSBC Holdings plc. HSBC recently finalized its policy on energy lending, confirming an earlier proposal that it would no longer offer financial services to new oilsands projects or new pipelines connected to the sector. The bank has also said it is a long-standing supporter of the energy sector in Canada and around the world. But the bank’s new energy lending policy has annoyed the Canadian energy industry’s biggest players. 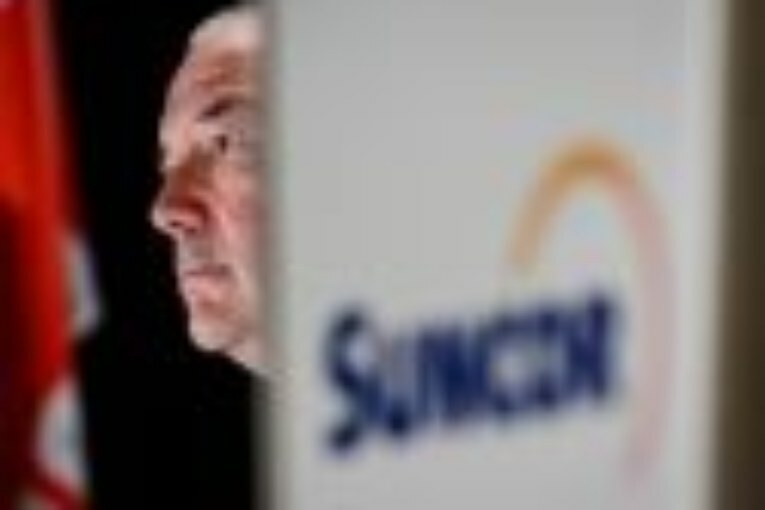 Suncor has decided it would no longer conduct any business with HSBC, either through its oilsands business or through its offshore operations in Eastern Canada, the U.K. or Norway. “We have had extensive discussions with John Flint, their CEO and the HSBC team. Regrettably, they continue to target based on reservoir, rather than on leadership or on performance based criteria,” Suncor spokesperson Nicole Fisher said in an email. “As a result, we have since fully severed our relationship with HSBC. We have had numerous financial institutions express interest in taking their place,” Fisher said. Fisher declined to discuss how much business Suncor had done with HSBC, or whether HSBC was its banker. However, disclosures show HSBC acted as an adviser to Suncor in 2016 when the oil producer announced its intention to repurchase $1.5-billion of its bonds to cut its debt load. HSBC Bank Canada spokesperson Sharon Wilks said the bank does not comment on specific clients. The bank has been a significant lender in the oilsands. Data from the Fossil Fuel Finance Report Card 2018, which is compiled by environmental organizations including Oil Change International, show that after Canada’s big five banks and JP Morgan Chase, HSBC has been the biggest lender to the oilsands between 2015 and 2017 with $3.9 billion lent to the sector during the period. Suncor president and CEO Steve Williams had previously expressed his frustration with HSBC and urged the bank to reconsider its energy-lending plan because, he said, it is not based on results. He also said Suncor doesn’t need the bank. The Canadian Association of Petroleum Producers, a group comprising the country’s biggest oil companies, also expressed its displeasure with the bank’s updated lending policy. CAPP noted the finalized policy omits some incendiary points about leaving oil reserves in the ground and “closing relationships” but otherwise has committed to the approach first announced in April. HSBC’s finalized energy investment policy states that the bank would no longer provide financial services to new, greenfield oilsands projects or new pipelines dedicated to the oilsands sector. It will also no longer fund new coal-fired power plants or drilling in the Arctic. HSBC’s Wilks said the updated policy clarifies the bank’s position. “The wording was revised to clarify our original intent and make more explicit our long-term commitment to clients in the energy sector while addressing areas of ambiguity,” she said. Cenovus Energy Inc. and Imperial Oil Ltd., other major oilsands producers, declined to comment on HSBC’s withdrawal from new oilsands projects. Canadian Natural Resources Ltd. president Tim McKay declined to discuss HSBC specifically, but mentioned that the company, the largest upstream producer in Canada, has access to the capital markets it needs through its bankers. “All our lenders are very supportive of Canadian Natural. They understand our company and how we strive for reducing our greenhouse gasses. They’ll sit down and walk through all the initiatives that we’re doing and they’re very supportive of it,” McKay said.